MaMa wanted to see if she could get just a touch more Whole Wheat Flour in the Cracked Wheat Artisan Bread recipe that she loves to make...and guess what, she did and it worked! A wholesome artisan loaf that you can make in just 5 minutes a day. Mix all ingredients together. We use our kitchen aid mixer and let it knead the dough for a few (2 or 3) minutes. Place dough in a floured rubbermaid type container (we use the 17 cups size). Let the dough rise at room temperature (on your kitchen counter for 2 hours, with the lid of the tupperware cracked open. Then let rise for another 3 hours in the refridgerator. Once the dough has risen for at least 5 hours you can make a loaf of bread. Pull off 1/4 to 1/3 or the dough and form into a ball. Place the ball of dough on a corn meal covered pizza pan or cookie sheet. 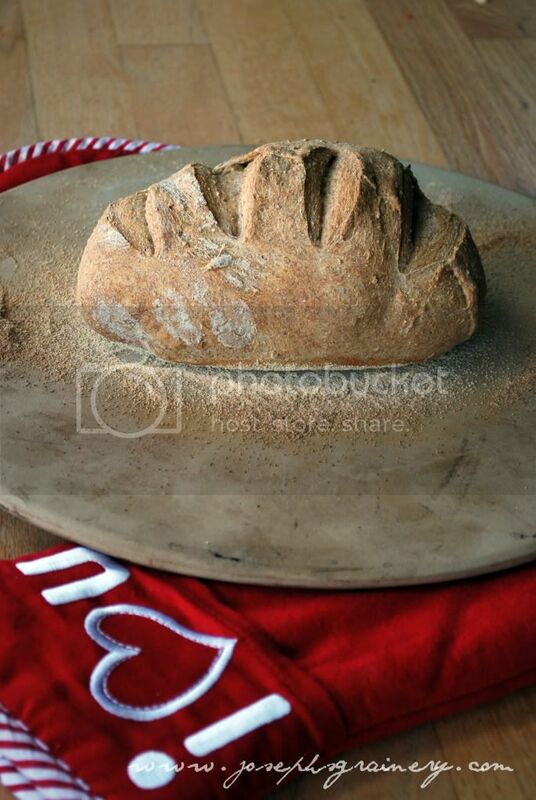 Dust the loaf with flour and cut a simple design in the top. Let the loaf rest for 30 minutes uncovered. Place a pan with boiling water in an oven that has been preheated to 450 degrees. Place the loaf in the oven on the rack above the water bath and bake for 30 minutes. Let cool a few minutes before serving. 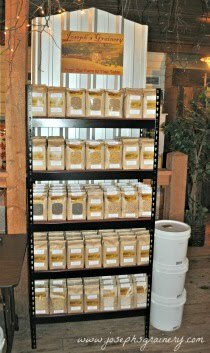 Visit our previous post for Cracked Wheat Artisan Bread to view photos of the above steps.